We are pleased to announce that Ms Irene Leung (梁淑儀女士) has been elected as the new President of Hong Kong Information Technology Federation (HKITF) effective on 22 June 2017. Ms Leung has served as a member of HKITF Council since 2008. Ms Leung is the Chief Executive Officer of the Senior Citizen Home Safety Association (長者安居協會), an award winning social enterprise and charitable organization with the mission to enhance the living quality of seniors in the community leveraging on use of technology and social innovations. She has also initiated and co-designed Hong Kong Jockey Club Life Journey Centre, Asia’s first ICT-enabled experience centre that serves to change the negative perception of ‘old age’ among the young generations. 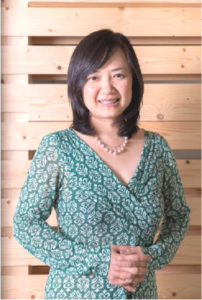 Prior to joining SCHSA, Ms Leung was the Executive Vice President of CSL Limited, who was responsible for the leadership and strategic development of the leading mobile operator’s multi-brand business and services which included the world’s first commercial launch of 4G mobile service and applications.